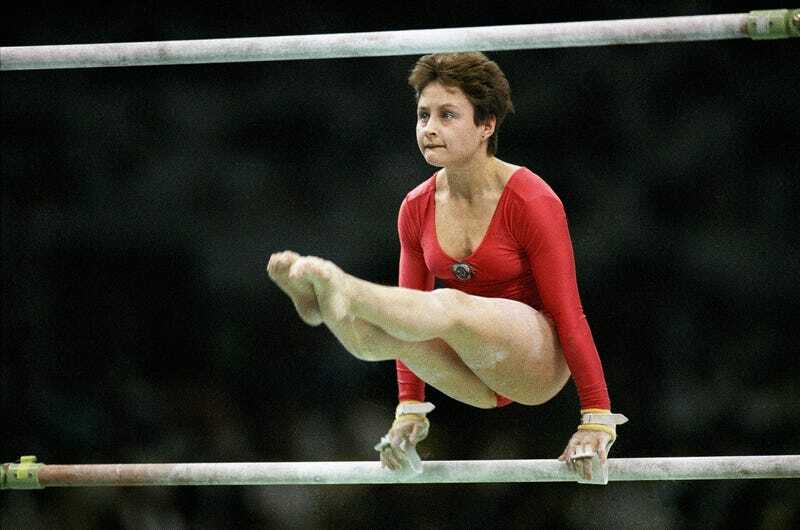 Yelena Shushunova, the 1988 Olympic all-around champion, died in St. Petersburg due to complications from pneumonia. She was 49 years old. Shushunova’s Olympic career would’ve commenced in 1984 had the Soviet Union not boycotted the 1984 Olympic Games in Los Angeles in retaliation for the United States’ boycott of the 1980 Games in Moscow. Instead, she, along with the rest of the Soviet team competed at alternate “Friendship Games” in Olomouc, Czechoslovakia. Her big international splash came a year later when she tied teammate Oksana Omelianchik for the all-around title at the 1985 world championships. This was the first time the women’s competition had ended in a tie at the top of the leaderboard. It hasn’t happened again. But Shushunova was best known for winning the 1988 Olympic all-around title in a thrilling showdown with Romania’s Daniela Silivas. It came down to the very last event, with Shushunova scoring a perfect 10.0 on that apparatus, all of which she needed to win the gold outright; a 9.975 would’ve landed her in a tie with Silivas. Shushunova was also known for innovative work. She has skills named after her on the uneven bars and floor exercise.